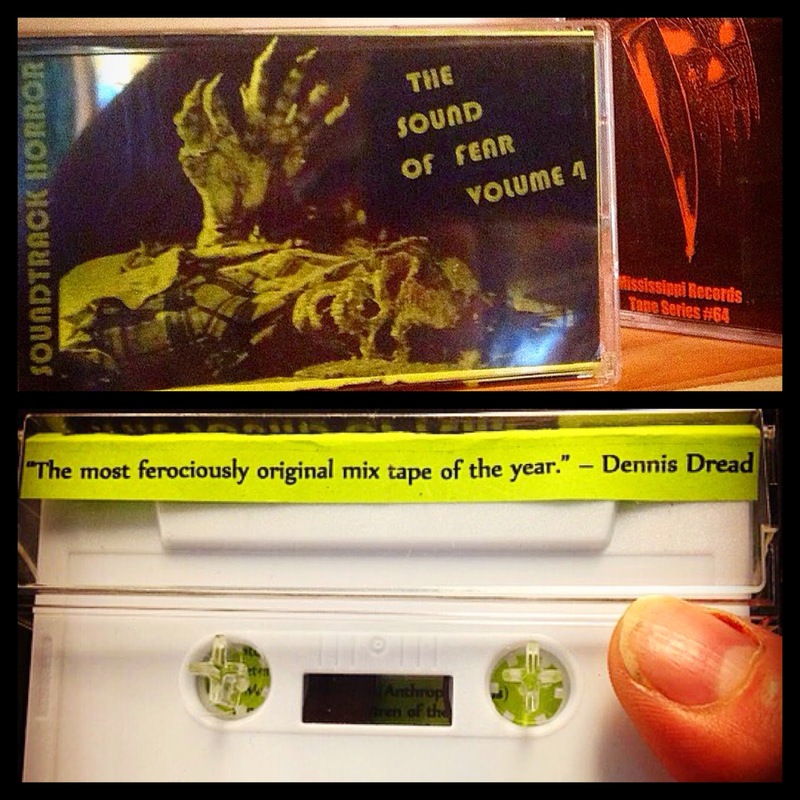 My latest horror soundtrack mix tape is available now and ONLY at Mississippi Records. Featuring motion picture soundtrack music from the original Evil Dead (1981), Prince of Darkness, Night of the Living Dead, Inseminoid, Xtro, Screamers, Emanuelle and the Last Cannibals, Zombie Holocaust, Henry: Portrait of a Serial Killer, Edge of Hell (aka, Rock 'n' Roll Nightmare), Anthropophagus (aka, The Grim Reaper), Children of the Corn, The Mutilator and more...all lovingly recorded from crackling vintage vinyl. The sound quality is awful but it's about the price of a blank cassette tape, so quit your complainin'! While supplies and your sanity last.